In June 2014 we asked the local community how the #BeckBromFL (Beckenham Bromley Follower Ladder) had benefited individuals and local businesses. The response we had was tremendous to say the least. Learn about the true value the #BeckBromFL brings in the e-book below! Together with @BeckBromFL and @baccarat_hair we would love to know how the #BeckBromFL hashtag has helped you and your business. We’d like to know the real life stories behind the hashtag and how the #BeckBromFL community has had a positive influence in your life. Has it helped you discover products and services locally that you require? Has it helped you promote your business and find new customers? Has it helped you make new business connections? Or has it helped in some other way? 30 Days of Free Advice Extended into July! Due to the great intake of our 30 Days of Free Advice campaign in Bromley and the surrounding areas we are extending our offer into July. Simply, we want to help as many local businesses understand the power and effectiveness of online marketing and show them how it can have a dramatic increase in their bottom line sales. In June we’ve helped restaurants, payroll services, loft conversion experts, laser hair removal companies, furniture stores, hotels and many more local businesses! Our advice ranges from how to get more people to find and visit your website to how to get traffic on your website converting into more sales. 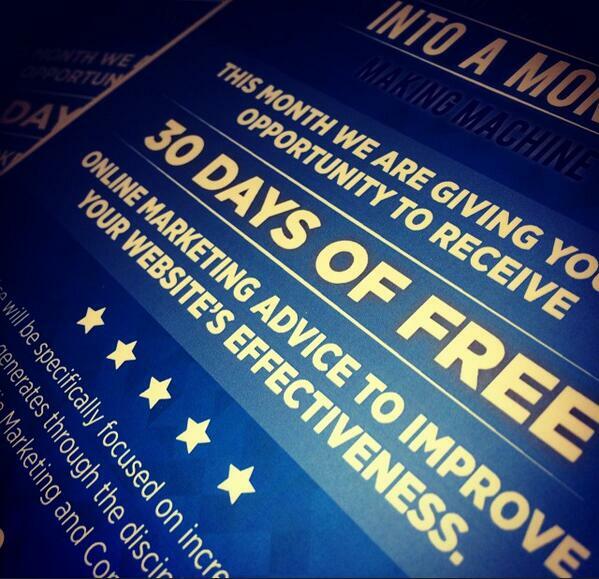 If you’d like to find out more, or are interested in receiving some free online marketing advice contact us today!